This shot is seems unusual but makes sence once you understand the culture of Point Barrow, Alaska. 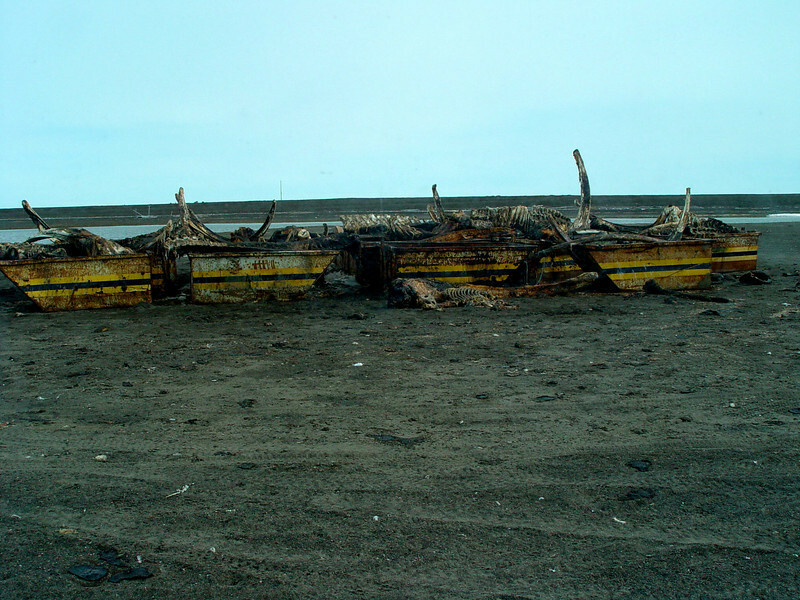 It is of the remnents of the previous whale hunt which everyone shares a piece of the catch. Sort of a religious thing for the locals. This is left well outside town to give the polar bears something to eat besides the local people. I am not kidding!